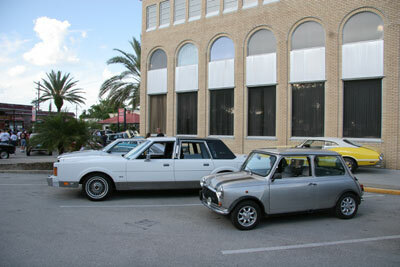 While technically it's not British, the All British Car Club of Volusia County welcomed our Innocenti Mini. Two big advantages of driving a Mini: You don't need much parking room, and you're pretty much welcome at any cool car event. 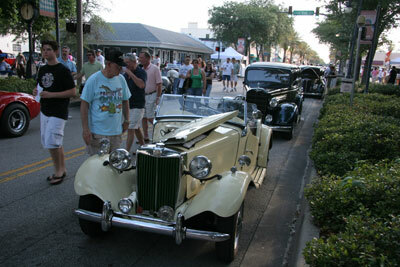 New Smyrna Beach's cruise-in attracts nearly all manner of cool cars. 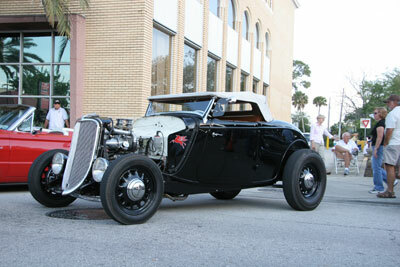 Of course, there are some traditional hotrods, too. And imports are just as welcome. With all those cars comes some people--lots of them. We didn't have the only classic Mini, either. The Lincoln provides some scale. Look for a Tiger once owned by Kirk White in our next issue. He's a regular at these gathering and always brings something cool. This is his, too. 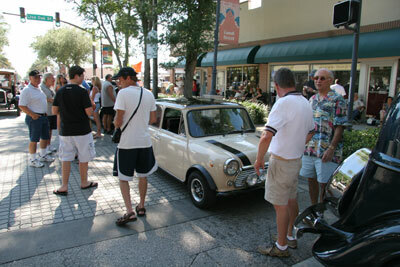 We’re still amazed at how much attention the little Mini gets. First thing everyone asks about? 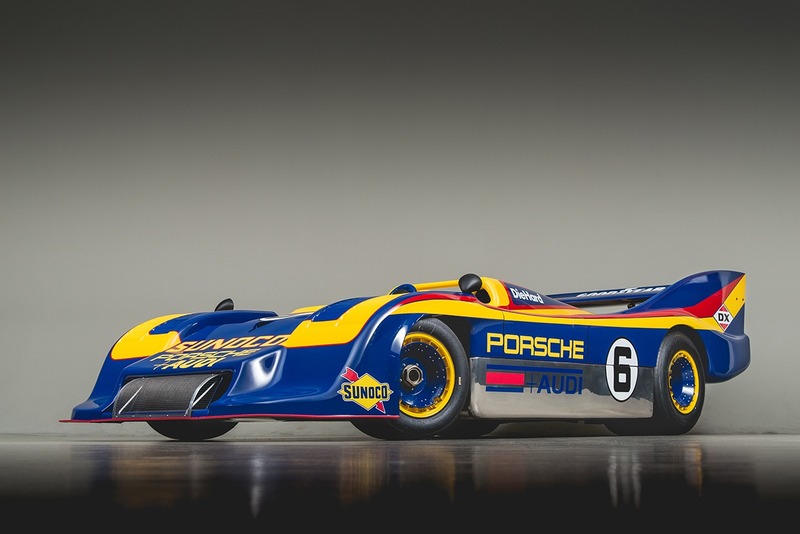 The fuel mileage. The Mini got a nice workout yesterday. First, it got a much-needed bath. 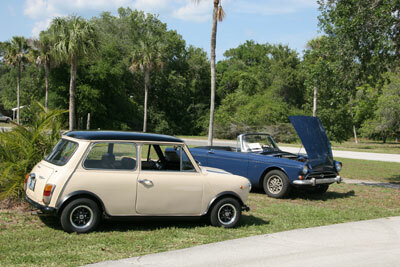 Then we cruised over to the All British Car Club of Volusia County’s Golden Oldies Car Show at the Riviera ALF. We showed up about half an hour before the show’s end, but they still welcomed us with an info sign and a place to park. 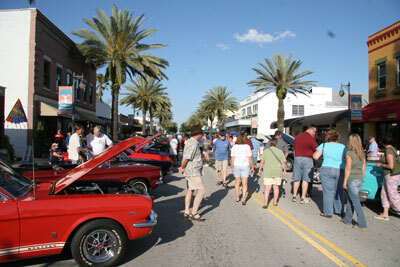 Afterward, we drove down to New Smyrna Beach, Florida, for their cruise-in. 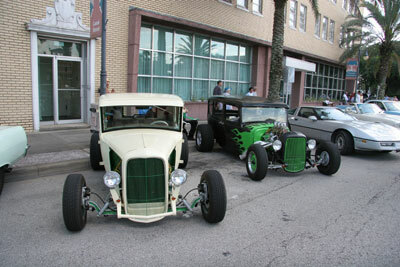 Once a month, the town’s main drag is packed with hundreds of cool cars, from traditional hotrods and muscle cars to British sports cars, Italian exotics, kit cars, lowriders, woodies, American classics, rat rods, street machines and just about everything else. There’s even a section reserved for bikes. The Mini didn’t miss a beat during its entire adventure, although we need to install the proper shift boot. The ill-fitting one we currently have lets all manner of engine funk and heat into the passenger compartment. I get the same thing in mine! Mileage is all people want to know, and that was the case even before gas went over $3/gallon. 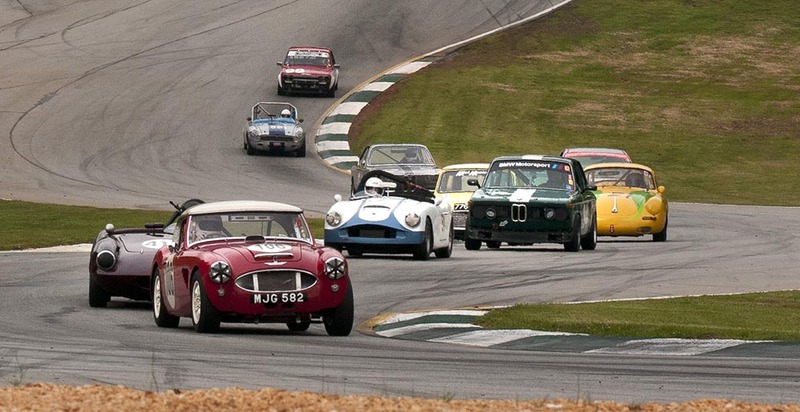 I just love seeing these classics being driven.